This issue marks the conclusion of the second act of Michael Moreci’s critically-acclaimed Roche Limit trilogy, and sees Sasha making a bold decision as she returns to the same planet that the survivors only barely escaped in the previous issue in order to face her demons once and for all. As should be expected by now, Moreci’s grasp of the storytelling nuances are absolutely top-notch, with Sasha’s hubris and regret practically pouring out of her as she makes her potentially suicidal decision. The remaining crew are all brilliantly realised and developed by this point, and it certainly feels like we’ve known them for a hell of a lot longer than four issues as we watch them struggling to find their direction here. Once again, the artwork of Kyle Charles works incredibly well to portray the chaos and movement contained within these pages. His rough, uneven style – while not necessarily the kind of aesthetic you’d think would work well in a science fiction comic – fits Moreci’s story like a glove, providing a wildly expressive showdown as Sasha quite literally faces her inner demons. My only criticism here is that the whole thing ends incredibly abruptly, and offers no hint of any sort of resolution, not even a temporary one. I fully appreciate that we’re only two-thirds of the way through the overall story, but this definitely didn’t feel like the conclusion of an arc. Hell, it barely felt like the end of an issue, if I’m honest, and if it weren’t for the “epilogue” page at the end, I’d think some pages might have been cut off in error. Don’t get me wrong, the storytelling is still gripping, and the mystery at the heart of the series still draws the reader in like a black hole, but this issue marks the first real stumble for the Roche Limit series – in my opinion, at least – providing a frustrating finale for a story I (and, presumably, a lot of other people) have become deeply invested in. While I have no doubt that Moreci will right the ship and steer this bad boy in for a perfect landing in the final chapter next year, I can’t help but feel a faint tinge of disappointment at the way this particular arc came to an end. 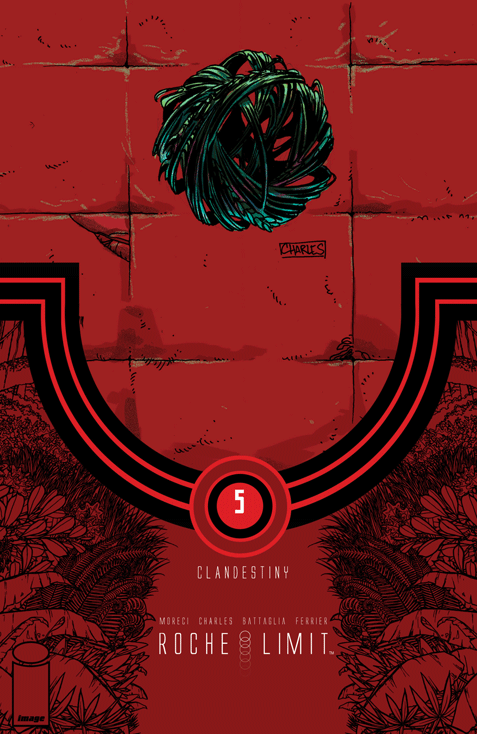 All that aside, there’s no doubt in my mind that Roche Limit: Clandestiny is an absolute shoe-in for a great many people’s “Best of 2015” lists, myself included, and that the powerfully unique structure of Michael Moreci’s opus all but guarantees its place in the annals of classic comicbook sci-fi for years to come.